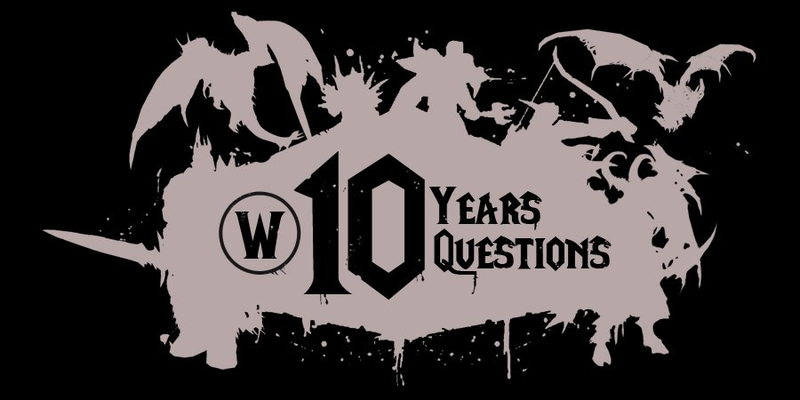 The Godmother has posted a list of 10 questions for the 10 years of WoW – this blog post has my answers. I saw friends playing it – the first time I saw WoW was watching a friend stealth around the ruins of Andorhal, coming out of stealth to destroy the undead as a level 60 rogue. It was an eye opener. The game was quite different to others I’d played before! My wife and a friend of hers would often watch the rogue friend running around Azeroth and they became hooked as well. … and then I got fully hooked watching my wife play! She got me a copy for Christmas ’05 along with the comment of “You can just try with the trial period…” and the rest is history. For the curious, if you remember the name and server of where you rolled your first character you can use http://www.warcraftrealms.com/charhistory.php to see roughly when you started playing. A dwarfen priest. Who is still my main, even with the lackluster performance of shadow priests over the years – especially now, we’re bottom of the pack. When I was looking at what to roll, I took into account comments about what would be required at max level. In a lot of ways WoW was very much even then “The real game starts at 60“. And the one thing the guild she was in needed were healers – its kind of a universal, pretty much every guild I’ve been in has generally needed healers. So that limited me to Druid, paladin or priest – no shaman for the alliance back then! I liked the look of how priests played and they had a large amount of versatility to them – something they still have even now to an extent. Then it came down to race – which was important. Priests had racial spells back then and along with desperate prayer, Dwarfs got Fearward which was far more powerful than it is today with a 30s cooldown and a 3 minute duration – unlike the 3 minute cooldown with 3 minute duration we have today. 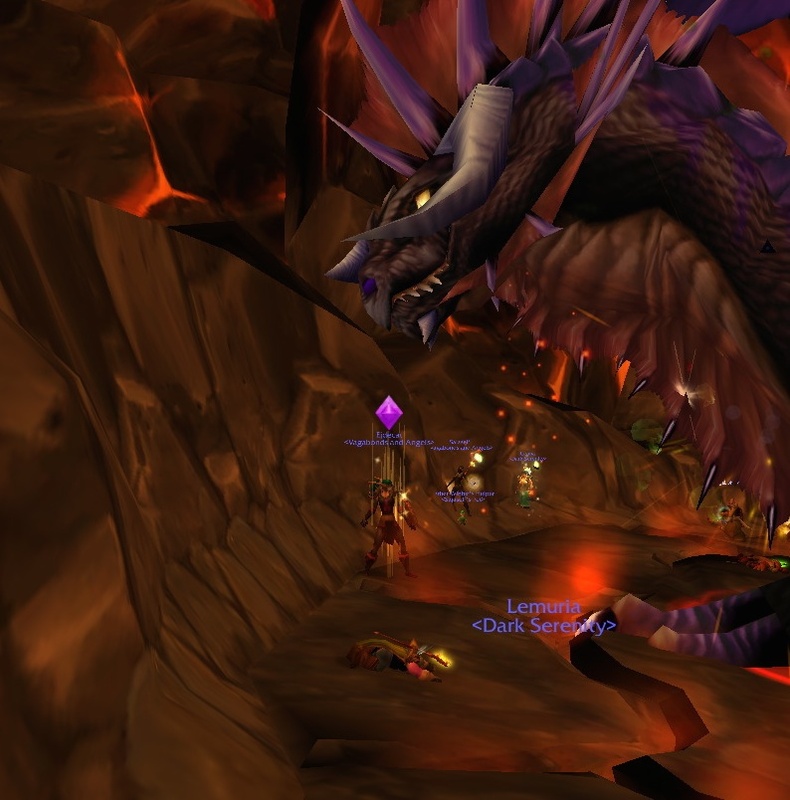 Given the number of bosses in vanilla which feared – Onyxia and Magmadar are two which spring to mind – Fearward really helped with the encounter. And whilst warriors – and it was only warriors as they were the only real tanks in Vanilla – could stance-dance to avoid fear, Fearward really helped. … which is one of the reasons I have this screenshot of Vanilla of my wife tanking Onyxia whilst I take a nap after having died for some reason! I was in that position to easily keep up rolling fearwards with other dwarfen priests in the raid whilst throwing healing the tank – placed to avoid breathes & cleaves which are the bread & butter of fighting dragons. Thus I rolled a Dwarfen priest. Plus I liked the look of dwarfs – something reflected in the race I tend to pick for my characters! My wife & friends played alliance and the social aspect is important in WoW. I’ve played WoW solo in a dead guild and it has a very different feel to it. Since everyone I knew played Alliance, that was the faction I chose. Getting Benediction on my priest at level – that was a fun class specific quest back in the day. Finally getting the Lich King down on normal – that was a hard fight which really required raid awareness. You can still tell the people who did that fight at level when you visit Lich King these days! Clearing Dragon Soul Heroic before the end of Cataclysm. All of the mounts my wife has crafted for me! There are two really – raiding and professions. I love raiding – a group of friends coming together to beat up Internet dragons! The raiding in Mists has been more challenging than in Cataclysm – certainly the heroic mode bosses have been a good challenge! I’ve raided in every expansion, although less in The Burning Crusade as I was in a 10 player guild at the time and there weren’t many raids for them between Kara and ZA. Not across the entire time I’ve been in game – I’ve always tended to move with the expansion. In Vanilla I mostly hung out in Ironforge – it was close to Molten Core / BWL. In The Burning Crusade it was Shattrath. In Wrath of the Lich King, Dalaran was home. In Cataclysm, we turned to Stormwind. In Mists for once I’ve not ended up in a faction capital – the farm at Halfhill is my home. … the exception to the above is my auction house character who moves around depending on lag. Thus a lot of time was spent in Darnassus and the Exodar. Of late the Stormwind Dwarfen district has been her home. Since I’m something of an altaholic my /played is spread out over a number of characters. This has been continuous – I’ve not had a time when I’ve gone on a WoW-break. That makes a total of 563 days, 13 hours, 15 minutes. I do the first time – my main completes all of the zones! On alts however? There, I tend to zip through unless its the first time – eg the Death Knight start area and the new race start areas. Not really; I’ve met some awesome people via the game! And its a great way to decompress from work – its my anti-job if you will! I’d say mostly positive ones; eg the fact that I raid means that I have to be home by a certain time during the week – and that means that I have to leave work on time. This is a good thing as I have a tendancy to work somewhat late – the joys of computer geek hyper-focus otherwise known as “ Gee, why is it so dark outside and why do I feel so hungry? ” after focusing on things too much! This entry was posted in Uncategorized and tagged 10 years of WoW, World of Warcraft. Bookmark the permalink. Reblogged this on Rambling thoughts about WoW.